Hey, Cheer Readers! It’s finally December, which means that our calendars are booked and our weekends will be spent at Christmas parties with workmates, family and friends. 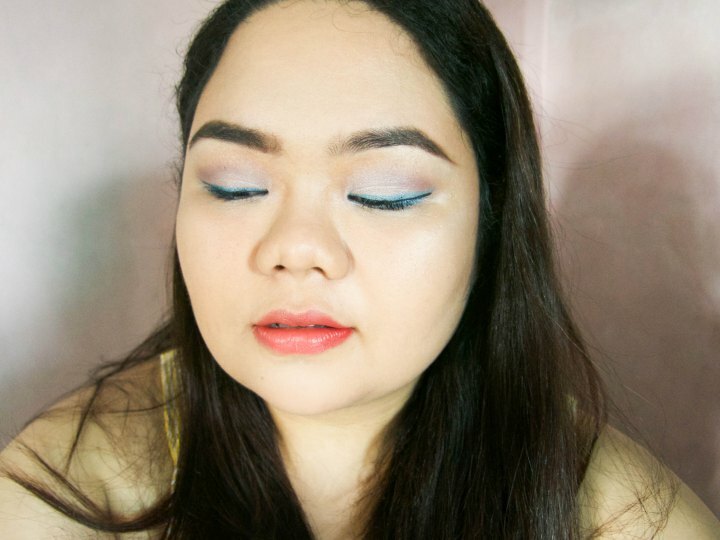 To help you prep for all these snazzy parties you’ll be attending, we will be featuring festive makeup looks inspired by some of our favorite book covers that you can wear during this time of the year. 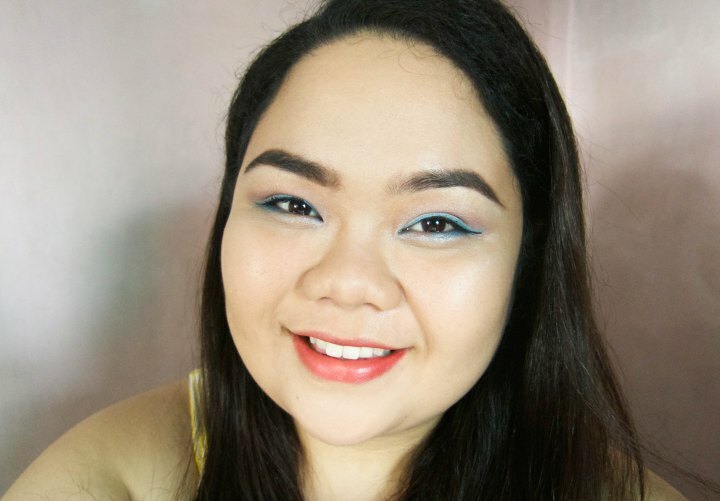 This look involves two bright colors so I opted to stick to a clean, smooth base and strong brows, and focused on the eyes and lips. My foundation is Make Up For Ever HD Foundation in 153. I used my holy grail brow product, Anastasia Dipbrow Pomade in Ebony, to define my brows and a tiny bit of Bobbi Brown Creamy Concealer in Warm Natural on the brow bone to highlight. The eye look is pretty standard with maybe a little unf. I started with Urban Decay Primer Potion in Original to make sure everything stays in place. Then I put Champagne from the LORAC Pro Palette foiled with some MAC Fix+ on my mobile lids and Mauve, also from the same palette, on the crease. I have hooded eyes so my liner, K-Palette 1 Day Tattoo Real Lasting Eyeliner, stayed super close to the lashes. You can change it depending on your preference. Next I mixed Comet and Earth from the Galaxy Chic palette and placed it on top of my eyeliner and on the lower lashline. I curled my lashes and put on Benefit Cosmetics They’re Real Mascara. Lastly, I used Sunset Kiss on the lips. You can stop here but if you want a bit of highlight on the top of the cheekbones, go for it! I used Kevyn Aucoin The Celestial Powder in Candelight for a bit of glow. Aaaand that’s it! Easy, right? 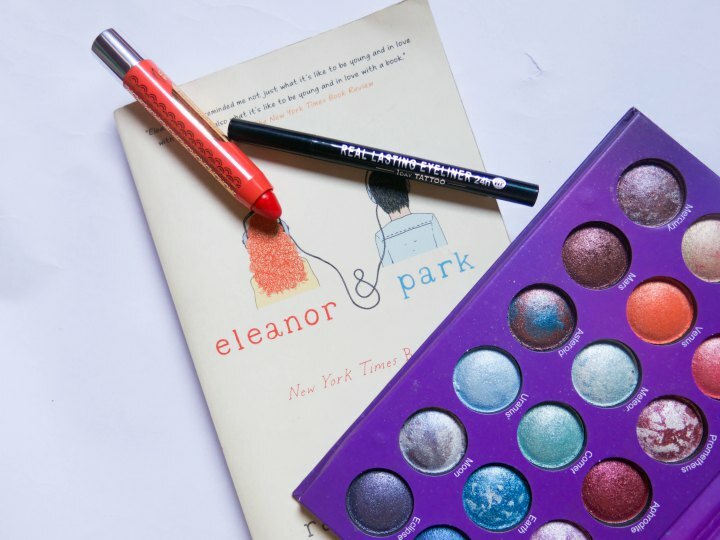 Whether you’re feeling as bright as Eleanor’s tresses or as gloomy as Park’s eyeliner, we’ve got you covered! Hi guys! Check out this FOTD I did for bookbed.org! It is inspired by the book cover of Eleanor & Park! I don’t know the book, but you look absolutely lovely! I love love this Zap! Hi Bea! We tagged Rainbow Rowell! Hope she sees it. If not, it’s fine! There are two other books to recreate! Right, Elaine? Anyway, thanks for visiting and reading!